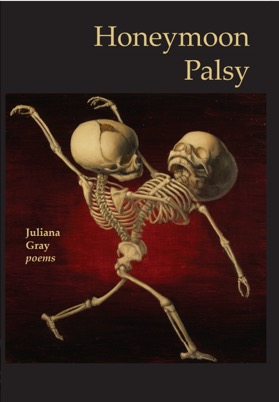 The twins are featured in cover art on the book "Honeymoon Palsy" by Juliana Gray. It is published by Measure Press and is available through Amazon and Barnes & Noble. Juliana Gray is a poet and English professor, originally from Alabama but relocated in 2006 to western New York, where she teaches atAlfred University. She is the author of two full-length poetry collections; the more recent, Roleplay, won the 2010 Orphic Prize and was published last year by Dream Horse Press. Roleplay also won the 2013 Eugene Paul Nassar Poetry Prize for the best annual poetry collection published by an upstate New York author. 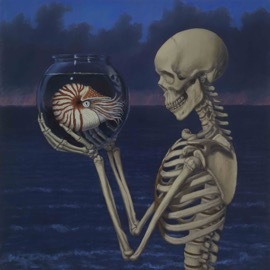 I am collaborating with the Pangeaseed Foundation on a print release of the painting "Death and Nautilus". Proceeds from print sales will be used for their efforts to empower individuals and communities to create meaningful environmental change for oceans through ARTivism, education, and science. PangeaSeed forges a synthesis between creative expression, nature, and society to (re)connect individuals and communities with our planet’s most important ecosystem by following our core values of sustainability, education, ecology, and design. Bicycle Review #32, by the Pedestrian Press - a journal of art and literature. •	San Francisco Art Enthusiast, Interview with “Spectacular Beasts Artist "